CLIENT: Souris Harbour Authority Inc. 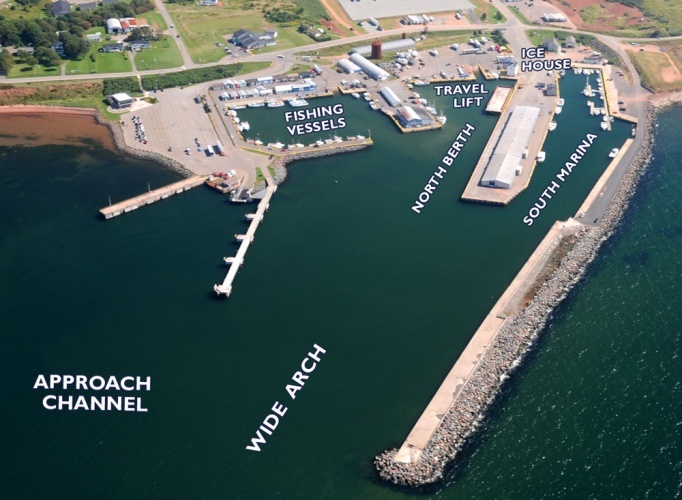 The Souris Harbour Authority engaged HEC to provide engineering services for several items at the facility. The projects included: a review of permissible draft at the north berth, review of permissible deck loading at the north berth, review of a specific offloading operation at the north berth and a review of the existing condition of the breakwater complete with recommendations for remediation. The work included a structural analysis of the existing SSP wall to determine the feasibility of dredging in front of the wall, options and concept structural arrangements to allow deeper draft for larger vessels, development of a concept construction methodology for the breakwater repairs and a structural analysis of the existing SSP wall for large surcharge loads associated with a crane offloading operation. The structural analysis incorporated the results of an SSP ultrasonic thickness measurement program.